The Corporate Cup Challenge is a 5 kilometer team running/walking event. Vermont Mutual is a proud participant in this fun and worthwhile event, the proceeds of which benefit programs and events of the Vermont Governor's Council on Physical Fitness and Sports. 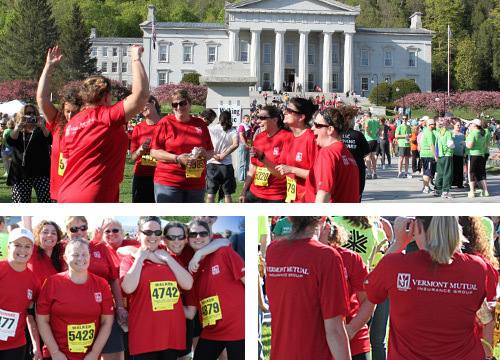 The Corporate Cup takes place in our home town of Montpelier, Vermont and Vermont Mutual always represents with several teams of employees.